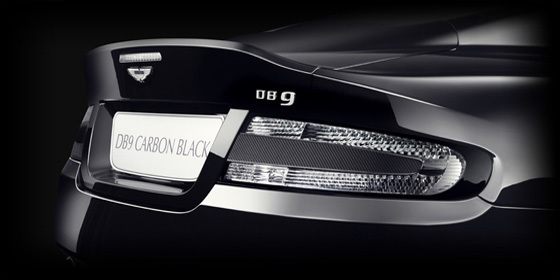 DB9 Carbon Edition - The Dark Art of Seduction comes to DB9. 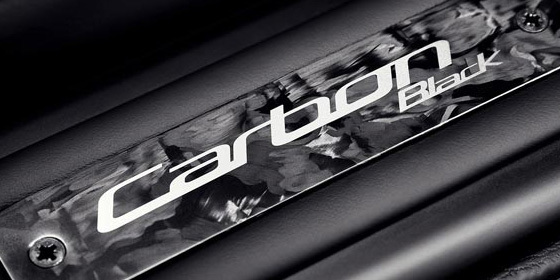 The Aston Martin DB9 Carbon Edition - Timeless elegance delivered with striking confidence. This exclusive special edition sees minimal adornment achieve maximum impact, fusing simplicity, discretion and drama in a unique dark theme. DB9 Carbon Edition makes a statement without saying a word. DB9 Carbon Edition maintains the irresistible blend of potency, beauty and technical expertise of the current DB9 but goes further, with expertly styled exterior and interior features. Offered in distinctive specifications of Carbon Black, Stratus White or the full Aston Martin color palette, and in both Coupe and Volante formats DB9 Carbon exudes a visual magnetism impossible to resist. The worlds definitive sports GT. DB9 and its cutting-edge AM11 V12 engine delivers a top speed of 183 mph and a sprint time of just 4.6 secs. DB9 Carbon Edition sees this physical power now come with a new commanding presence as a specially created dark design theme utilises only the finest modern materials. A Carbon-Fibre diffuser, draws air from beneath improving aerodynamic efficiency. The setting for two large tailpipes both coated in a tough, dark Graphitic finish, complements the colour of the surrounding carbon weave. Further intensity comes from black intake meshes, graphitic tailpipes, exquisite black diamond-turned wheels and optional carbon-fibre door handles. Stealthy black window surrounds cap off discrete distinction.